Imagine it’s a blustery autumn evening in San Diego and you’re enjoying a quiet evening at home when you feel a draft. What are your options? In fact, you have a fourth option: Find the cause of the draft and fix it. Here’s a hint—your windows may be to blame and dual pane vinyl replacement windows can solve it. When should San Diegans Consider Vinyl Replacement Windows? Newer homes are usually built with a tight thermal envelope. But older homes often don’t meet the same standards of energy efficiency. If you have single-pane aluminum windows, replacing them with dual-pane vinyl windows can improve the energy efficiency of your home and help you save money on your utility bill. Old, single-pane aluminum windows conduct heat in the summer and cold in the winter—the exact opposite of what you want. This inefficiency forces you to use more energy to keep your home at a comfortable temperature. In fact, the U.S. Department of Energy estimates that as much as 71 cents of every dollar spent on heating and 41 cents of every dollar spent on cooling is wasted due to inefficiency. Unlike single-pane aluminum windows, dual-pane vinyl windows have lower U-factors, which refers to the window’s thermal conductivity. To put it simply, dual-pane vinyl windows are better insulated, keeping you warmer in the winter and cooler in the summer. And vinyl windows are built to last. Unlike aluminum windows, they won’t corrode or dent, and they require very little maintenance. To maximize energy efficiency, choose replacement windows that are Energy Star certified. These windows meet energy efficiency standards for both U-factor and Solar Heat Gain Coefficient (SHGC), which measures how much heat penetrates the glass. Truly high-performance windows also have low-emittance coatings and gas fill. A low-e coating is a clear, microscopic metal oxide layer applied to the inside of the outer pane of a dual-pane window to reflect infrared heat. This means that heat from inside the home will be reflected back in, while heat from the sun will be reflected out. That way, you stay comfortable all year round. Gas fill between the panes of glass also improves the windows’ insulation. Plus, new windows can reduce the amount of street noise transmitted into your home. You can also choose special window tints for additional privacy. At RC Energy Solutions, we’ll sit down with you and discuss your options for new windows. Then, we’ll send our factory-trained, certified installers to ensure that your windows are properly installed. Our goal is to help you get the maximum value out of your investment in new windows. For more information about how new dual-pane windows can help you save money and increase the beauty and comfort of your home, contact us today. We provide free, no-hassle estimates designed to provide you with the information you need to improve the energy efficiency of your home. RC Energy Solutions is a fully licensed and insured home energy contractor serving San Diego, Riverside, and Orange counties for over 20 years. We use factory certified installers and specialized craftsman to produce the finest work available.  Give us a call and see why we're rated 5-stars on Yelp, Google, and A+ by the BBB.